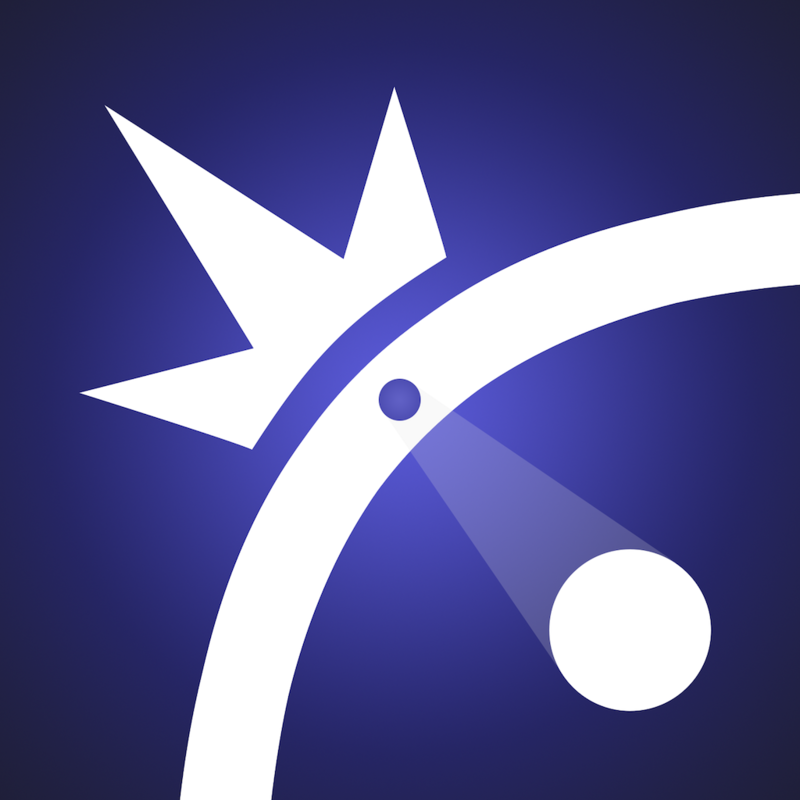 Hyper Square ($1.99) by TEAM SIGNAL, LLC is a twitch reflex game that is unlike any other game you’ve played before. 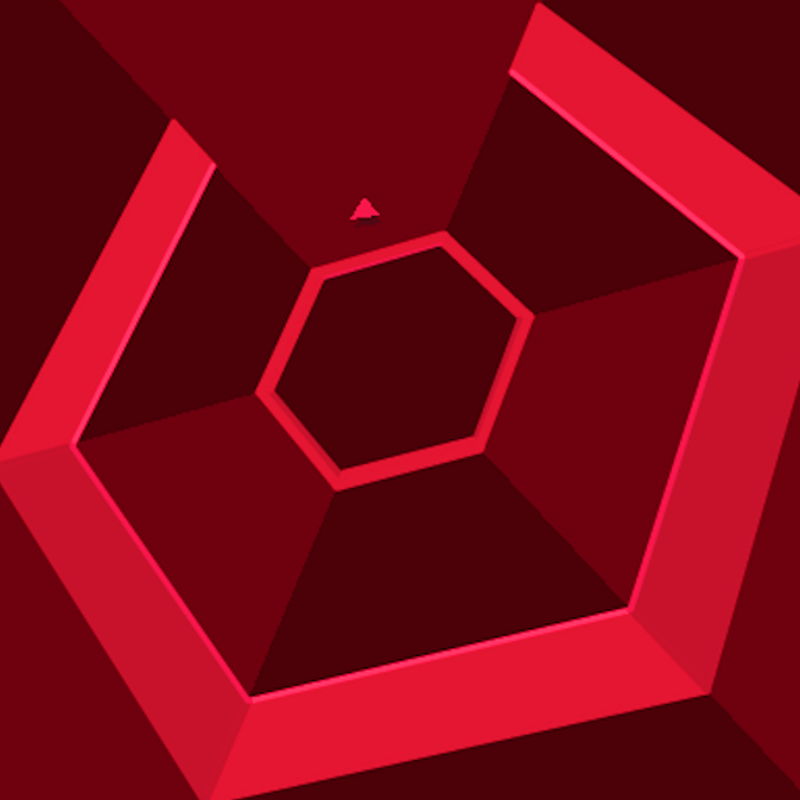 While it is similar to other reflex games, such as Super Hexagon, Pivvot, and Orbitum, you’re going to need to master new mechanics and be incredibly quick about it. Oh, these twitch reflex games. I seem to have a love-hate relationship with them. The love part comes from how simple and fun they are — seriously, I love every reflex game when they come out! But then the hate part comes in while I play — at first it’s all fun and games, but then things just keep getting harder, and quite infuriating, but you know what? I keep on playing. It’s quite masochistic, but these games are so challenging and addictive that I just keep coming back for more. Hyper Square came out a while ago, but as I browsing the dozens of games on my iPhone, I forgot about it and decided to give it a spin. 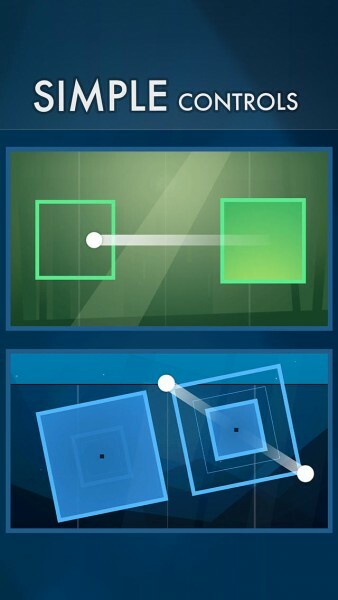 I’ve gone through quite a few reflex games on my iPhone in the past several years, but I have to say, Hyper Square is taking things to an entirely new level. I love the graphics of Hyper Square. It’s filled with simple and flat square graphics (hence the name), but the colors are bright and vivid. As you play, you will get drawn in with the flashy, vibrant hues, but have little time to enjoy them because things move fast — very fast. 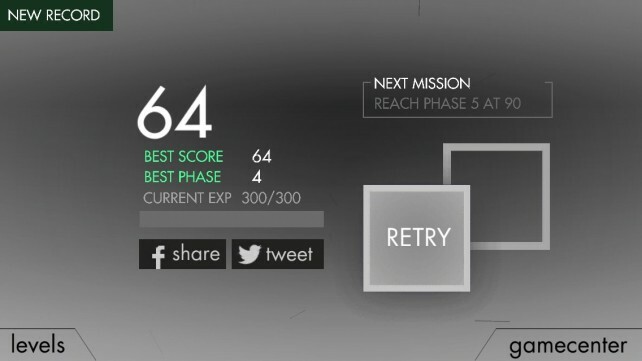 Hyper Square is loaded with very smooth and fluid animations, which is good, considering how fast-paced the game is. There’s also an atmospheric soundtrack that will help get you in the state of mind for the game, and the sound effects are quite quirky. 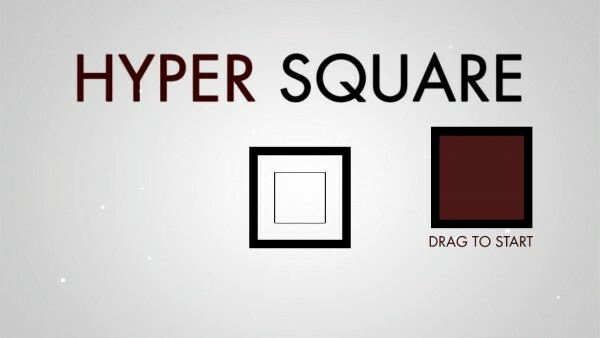 Hyper Square features various levels, which each introduce a new game mechanic and consist of several phases that will increase in speed and difficulty as you advance. 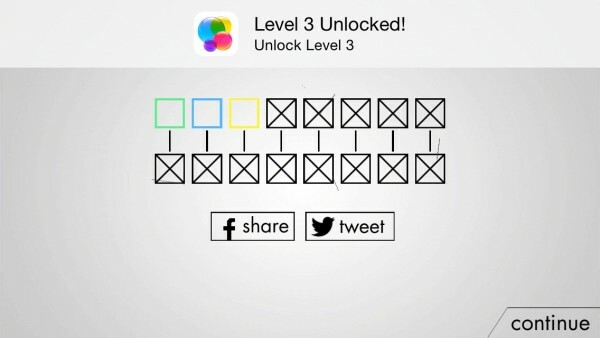 You start out with the first level in the beginning, but as you play, you’ll earn experience points that will unlock the next level, and repeat the process until all eight are open. 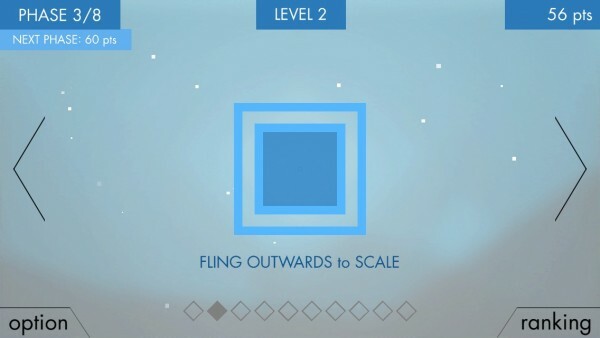 You can always go back and replay a specific level if you want to hone your skills or try and beat your previous score. The controls in Hyper Square are intuitive and perfectly suited for the touch screen. The reason it’s so simple to learn the controls of Hyper Square is because it’s all multitouch gestures that you are already familiar with. 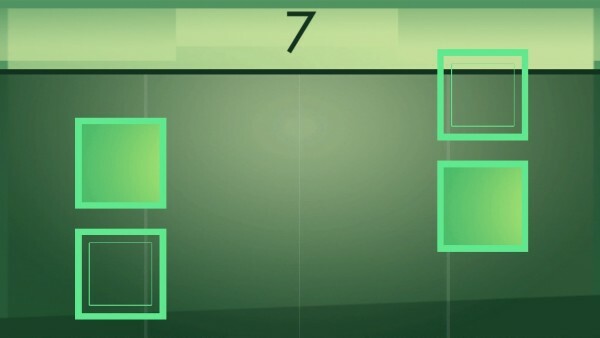 At the start, you will simply drag or flick squares into their designated targets (the outlines), but a new technique is introduced with each level. 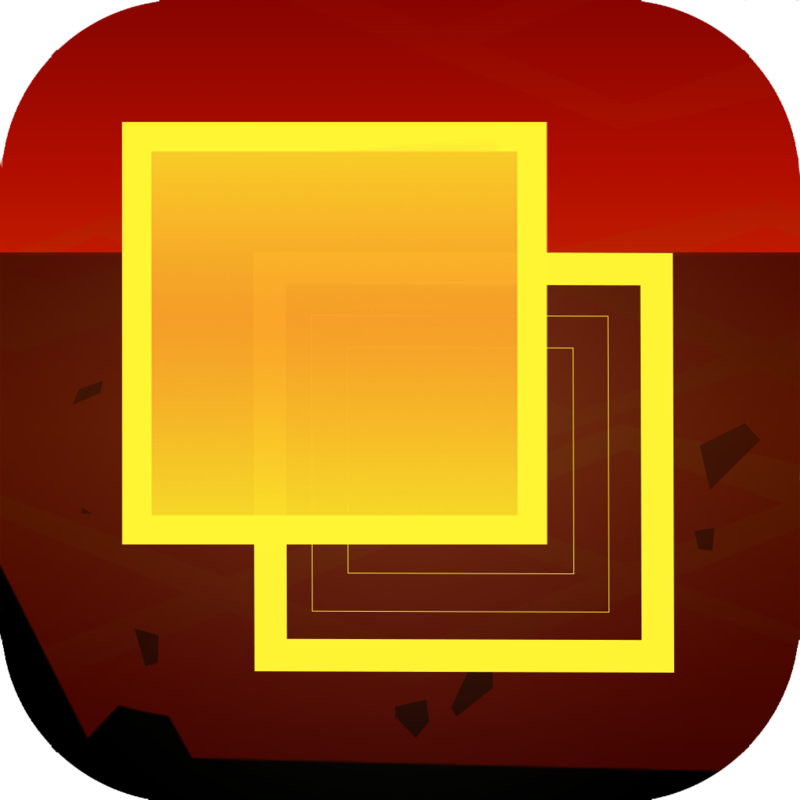 Soon you’ll be pinching the squares to resize them, rotating them by flicking with two fingers, and much more. The game has a gradual learning curve with each new mechanic, but it does give players enough time to get used to them before things start picking up. 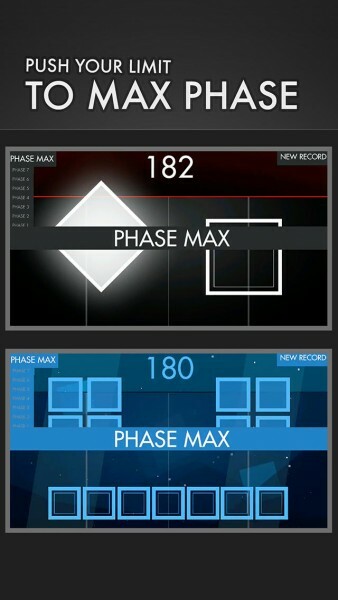 As I mentioned, each level will consist of phases. The higher the phase you’re in, the faster things get. 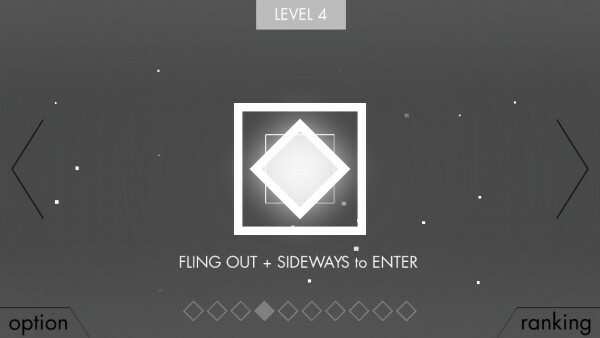 The background of each level will serve as a timer, as you can see a line drop down behind the squares. If you’re unable to get the squares into their targets before it hits the bottom (things start flashing red when it’s about to run out), then the game ends. The timer gets reset with each new screen of squares, but you really don’t have more than a few seconds every time — you have to be quick on your feet in this one! Your score is how many squares you matched before the timer runs out. The experience points you need to advance in levels will vary, but your score serves as how much you get from that round. 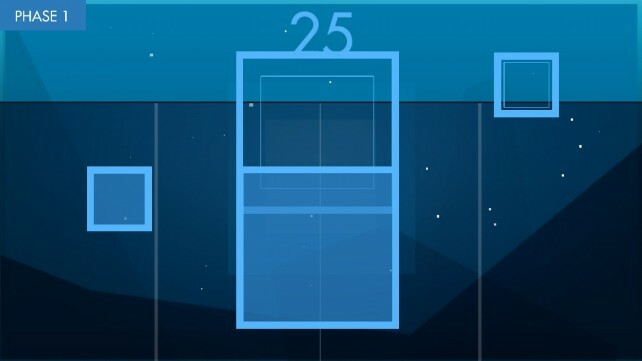 Also, you will get bonus experience if you manage to reach higher phases for the first time (these will be around a few hundred points each) — so if you do really well, it won’t be long until you get access to the next level. A game like this is definitely a competitive experience among friends who also have it, so of course there is full Game Center support. 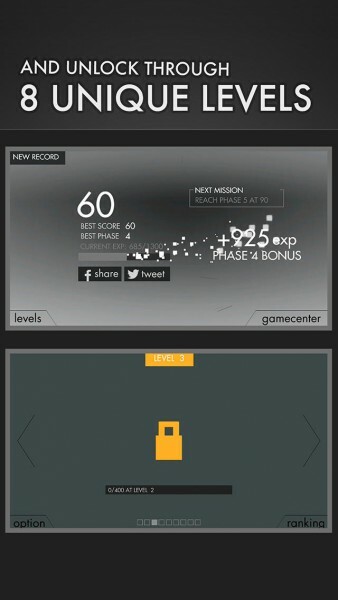 You have multiple leaderboards, including best overall score, as well as achievements to obtain. 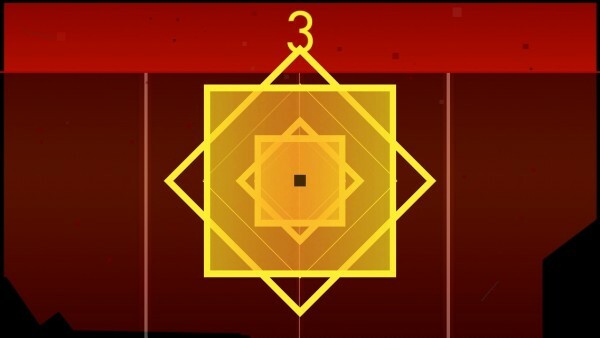 Hyper Square is surely one of the more challenging twitch reflex games I’ve played so far, and even though it can be quite rage-inducing, it’s still an absolute blast to play. 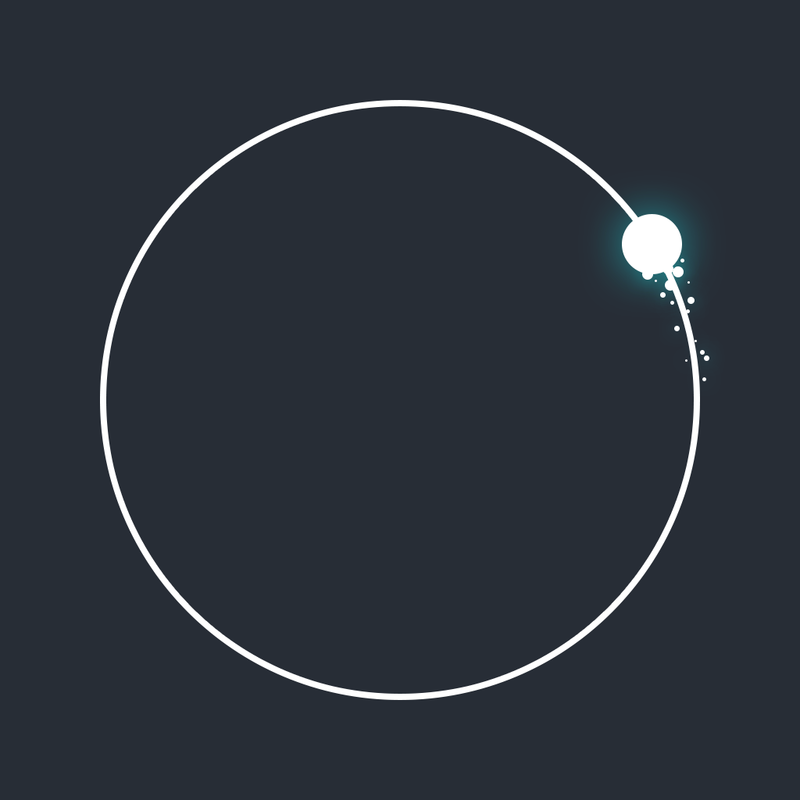 The visuals are minimal, yet flashy, the music is amazing, and the challenging gameplay is instinctive. 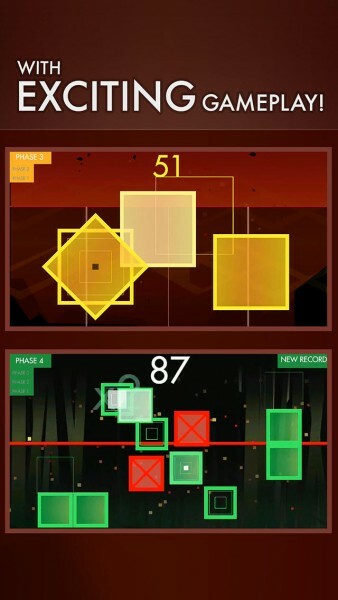 If you love twitch reflex games, then you need to try Hyper Square if you haven’t already. Just try not to fling your phone across the room in rage. 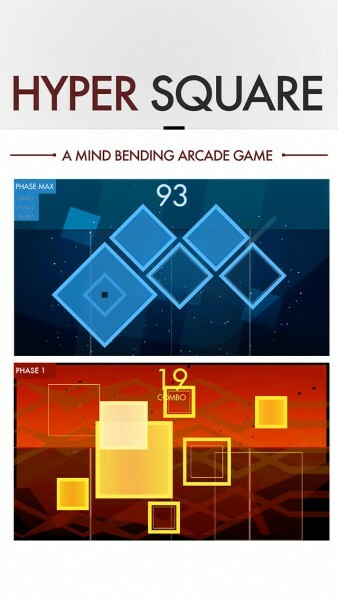 Hyper Square can be found on the App Store as a universal download for $1.99.